Thamnophis sirtalis sirtalis is very well known and very popular amongst garter snake enthusiasts. The melanistic morph is truly the first and most classic color morph of Thamnophis. Unlike some color morphs (like albino for instance) this color morph really occurs in relative high numbers in the wild and as such it could be seen as one of the few “naturally occurring” color morphs. Record size for Thamnophis sirtalis is 137,2 cm (Rossman et all., 1996) but this length is very exceptional. Females become much heavier build and normal length for adult females is 80 – 100 cm. Melanistic Eastern Garter Snakes are predominantly deep black. Especially when they have just shed their skin they are extraordinary beautiful. Also the underside is completely black. Normally the underside of the chin, some labial scales and some scales on the side of the head can have their normal color, whitish or brownish. Also some scales on the sides can have their normal color, especially some scales on the lateral stripes. 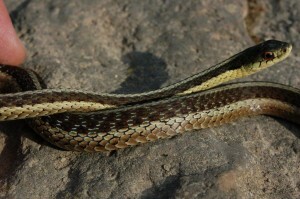 In some snakes these individual “regular colored scales” occur on the front part of the lateral stripes up to 1/3 of the body. Towards the tale less and less scales are normal colored. Since the location of the individual normal colored scales is different in each snakes you can easily distinguish individual specimens. Eastern Garter Snakes do well in a warm and dry terrarium with a relatively small water bowl. For a couple minimum size of the terrarium could be 60 x 50 x 50 cm, but 150 x 50 x 50 cm gives them more space and more variation in temperature. Night temperatures in spring and fall may drop considerably (as low as 10 °C or even lower), this is no problem. They do not need a lot water to do well in captivity. 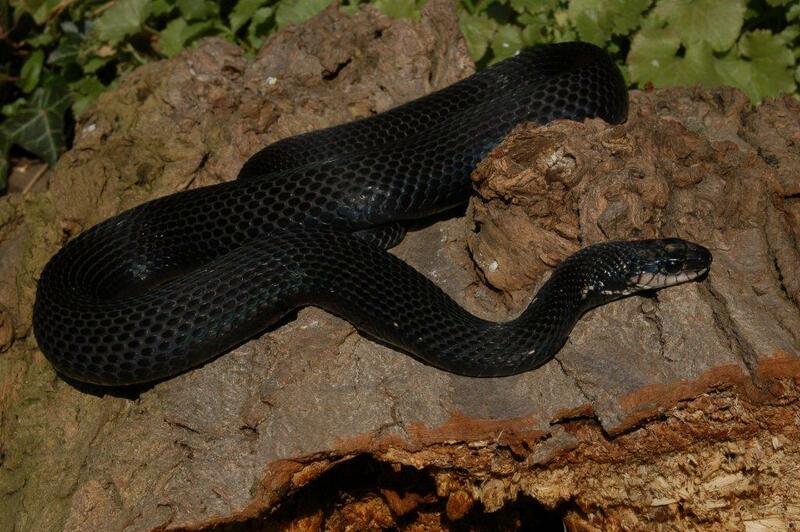 The adults snakes are almost always well visible and basking on branches on the warmest spot in the terrarium. 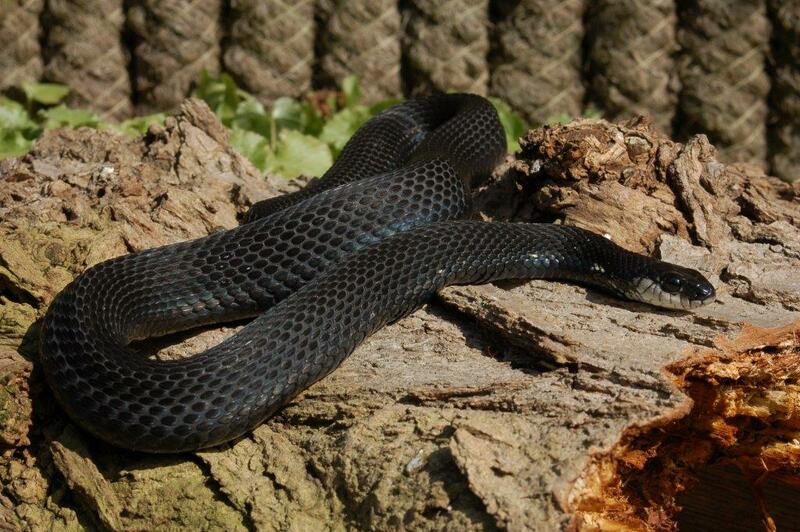 Since the melanistic Eastern Garter Snakes come from an area with very long and cold winters they are very suitable for an outdoor terrarium, although the Dutch climate (and especially spring and fall) may be a bit too wet, cool and without sunlight for them. I have kept and bred them successfully in my outdoor terrarium (Bol, 1997). They are easy feeders. I give them predominantly fish (smelt) but they can easily get used to baby mice. Especially the babies can be started on chopped up worms. I hibernate both my adult and baby T.s.sirtalis at 0 – 7 ºC in the refrigerator; 2 months for the babies and up to 5 – 6 month for the adults. The Eastern Garter Snake occurs from Eastern Canada to the Southern tip Florida and in the eastern half of the USA. 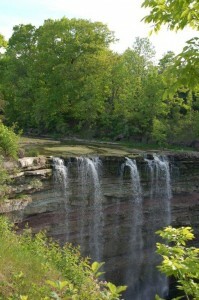 So it is distributed over a very wide area and occurs in many climatic zones and habitats. 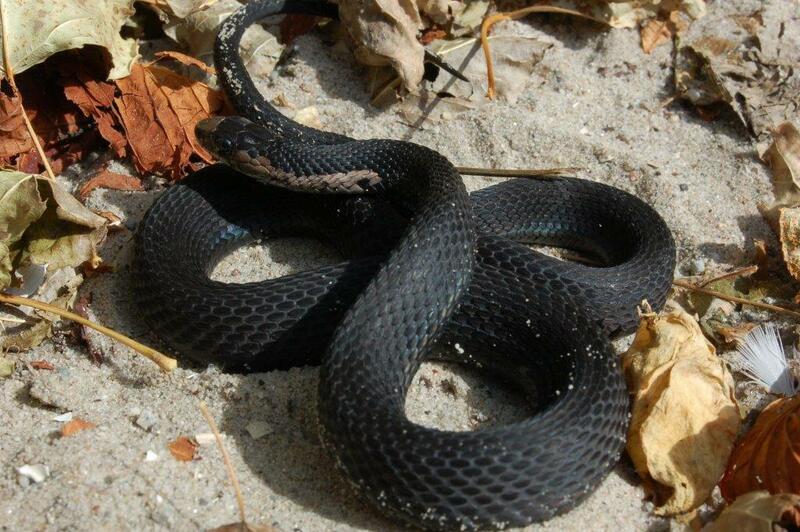 Melanistic Thamnophis sirtalis are known from several locations in the Northern part of their range, amongst others in the area surrounding Lake Erie. Melanism is reported in several subspecies; the most known one is T.s.sirtalis but it is also reported in T.s.parietalis and T.s.pallidulus. 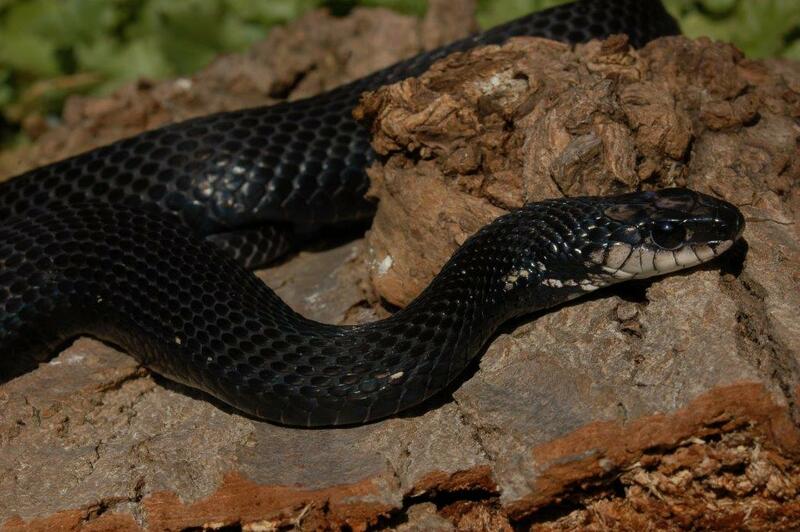 This means that when the origin of the melanistic Garter Snakes is not known you cannot be sure about the subspecies. I have observed Eastern Garter Snakes at several locations near Lake Erie in Michigan, Ohio and Ontario. Melanistic specimens I have only seen in Ohio very close to the shores of Lake Erie and also on Pelee Island in lake Erie. Here (Pelee Island) the Eastern Garter Snake shares its habitat with the Lake Erie Water Snake, Nerodia sipedon insularum (Bol, personal observations). This island in the Western part of lake Erie consist of limestone. 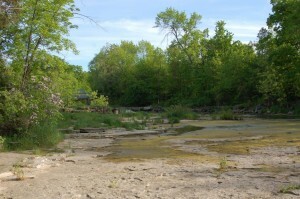 The habitat occupied by Thamnophis sirtalis sirtalis are the wetter parts of the island and near the shores. The Pelee Island population of the Eastern garter Snake has a considerable portion (27%) of melanistic snakes. When I visited the Island in May 2005 I found a hibernaculum where T.s.sirtalis and N.s.insularum hibernated together, at least the latter in large numbers. I witnessed a few adult males of the Lake Erie Watersnake leaving the hibernaculum and staying in close proximity with their heads held high, apparently checking the area for females. A few T.s.sirtalis were basking on or very close to the hibernaculum. It was clear that spring had just started for both N.s.insularum and T.s.sirtalis on this island, which is in line with observations in literature (in: Seymour & King, 2003). 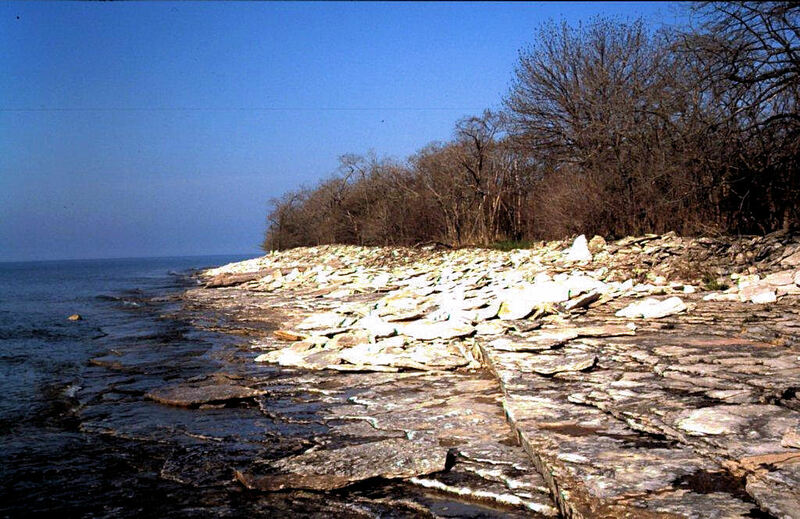 Living on the border line between the US and Canada in Lake Erie means these snakes are used to a land climate with long winters with lots of snow and ice and warm summers. 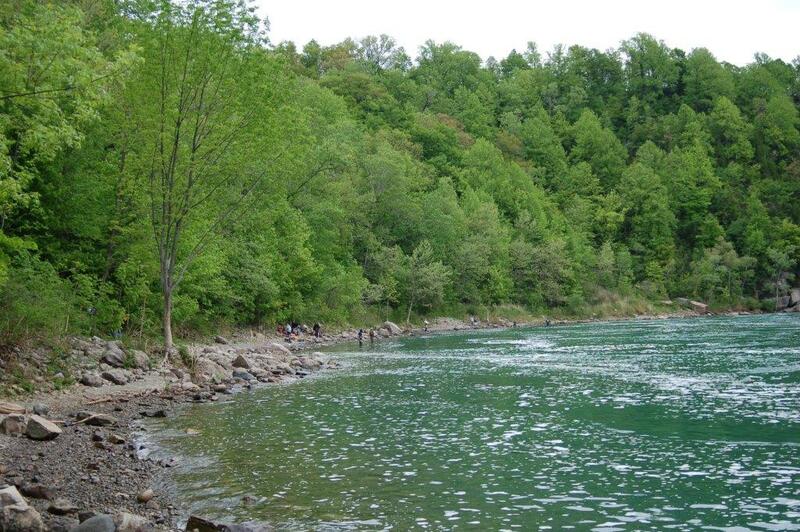 Since Pelee Island is situated in the huge Lake Erie the water temperatures will have a big effect on the microclimate making the fall temperatures milder but it also takes longer before temperatures heat up early spring. Hibernation may last from end of September to the end of April (as long as 7 month) in the wild (in: Seymour and King, 2003). The guidelines for captive maintenance for T.a.atratus (Bol, 2007) also apply in general for T.s.sirtalis. 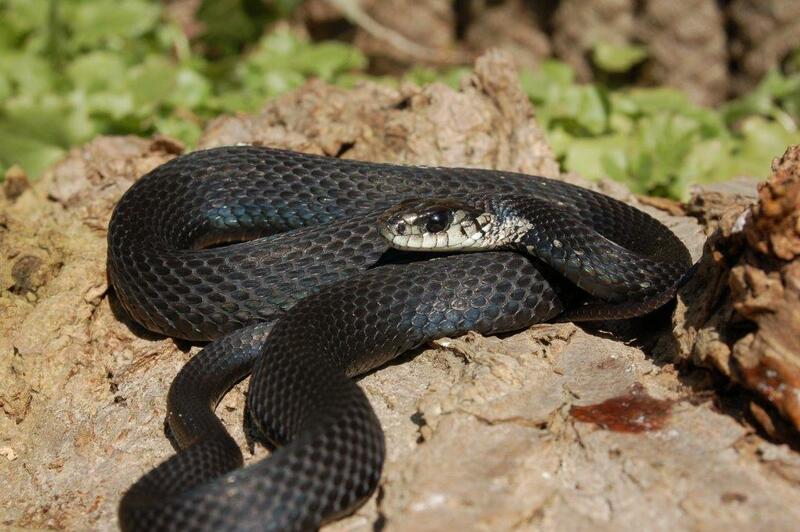 A big difference is the long hibernation of the much further north living melanistic Eastern Garter Snake. T.s.sirtalis is adapted to long and harsh winters. My breeding group consists of (offspring of ) a couple originating from the most southern tip of Ontario plus a male from the southern shores of Lake Erie in Ohio. 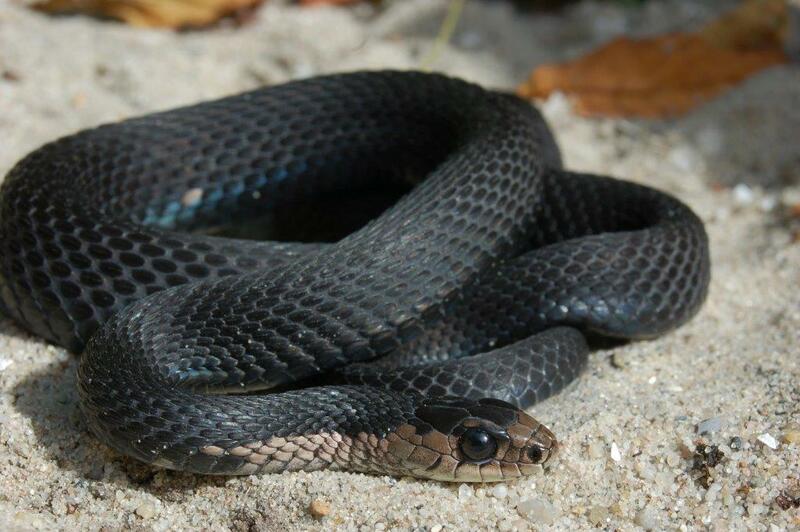 Melanistic Eastern Garter Snakes were among the 1st color morphs to be bred in Europe. 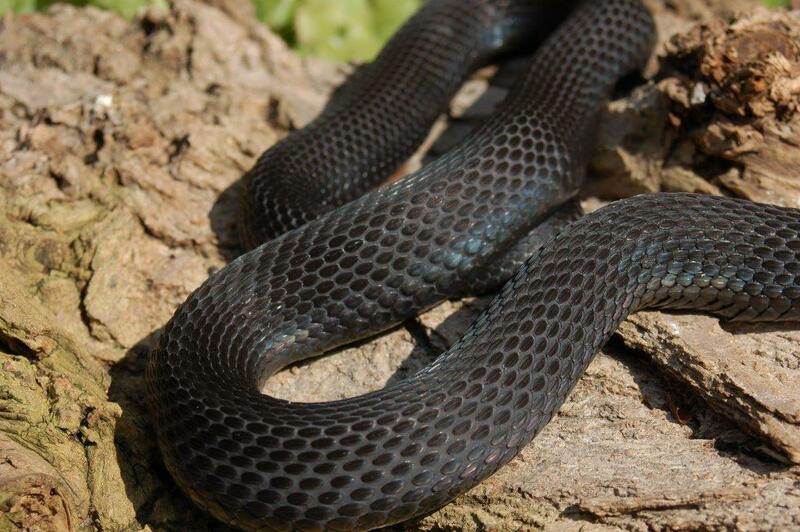 In 1988 a few melanistic Eastern Garter Snakes were offered in a dutch reptile shop (Bol, 1996). One couple was bought by a Theo Huiberts, a friend of mine who bred them for several years. The melanistic Eastern Garter Snakes became very popular amongst the Garter Snake enthusiasts in Europe and specimens bred and offered at tradeshows all originated from this single couple. A situation somewhat similar to the origin of T.s.tetrataenia in Europe. After several years breeding results went down and some breeders believed it was due to inbreeding. In 1995 I acquired the breeding group of Theo Huiberts and I also bred them for several years. Based on my experience I had my doubts whether inbreeding was a real issue (Bol, 1996). Inbreeding or not, it is a fact that the entire population originated from two wildcaught specimens. Luckily now several bloodlines are bred in Europe and my current breeding group is also not related to the old 1988 “blood line”. And the breeding results are very good.